Back to work after my very short maternity leave. Tuesday is my work lunch day and my colleagues have agreed to try out this restaurant called "Chinese Dumpling House" at Commerce Gate along Hwy 7. I have been to this restaurant a few times before it's renovation but this is the first time I have written something about on the internet. Very busy restaurant at lunch time. This place was very dark and gloomy before since it doesn't get a lot of light in the restaurant. 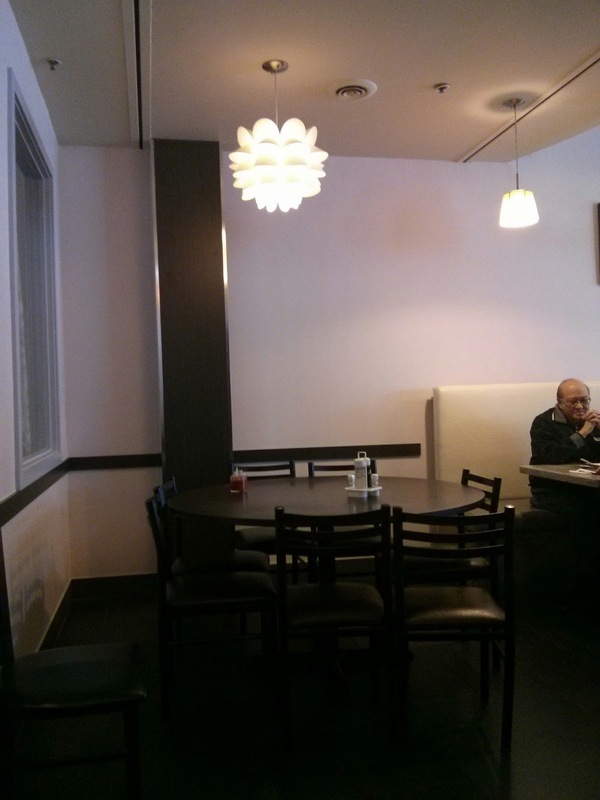 After the new renovations, they put on light white walls and IKEA style light lamps to make the place more cheerful. For a Chinese dumpling restaurant, I was expecting a lot of high quality northern style dumpling dishes. I cross referenced some other online websites about what dishes to get. 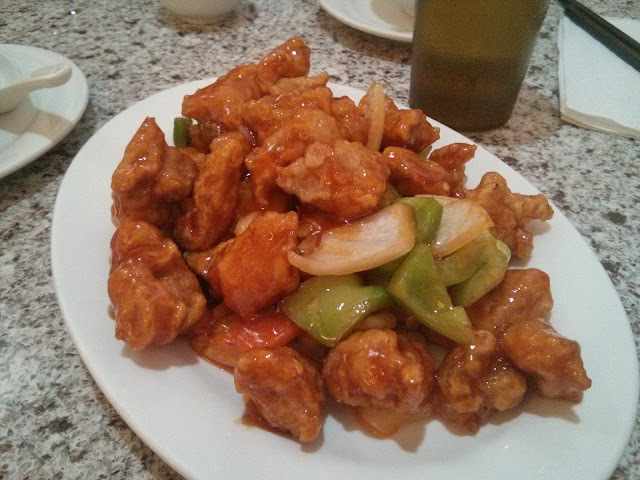 The sweet and sour pork with pineapple was in my opinion the best dish of the meal. It's very crispy on the outside but soft on the side - excellent contrast. The sauce wasn't overly sweet. 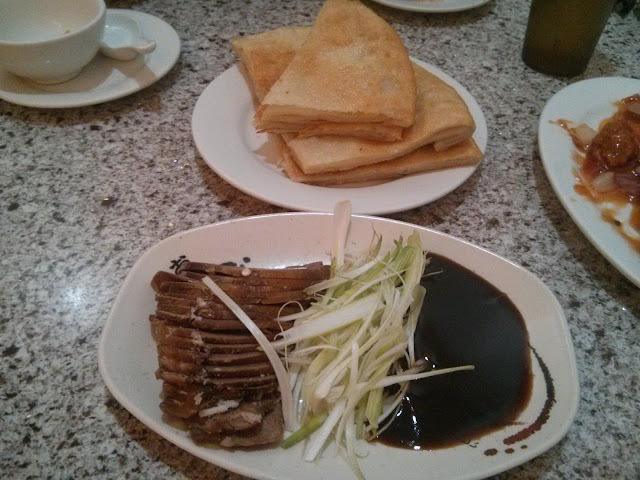 The beef shank dish with pancakes is similar to other beef rolls pancakes in different Asian restaurants. The pancakes were harder in texture, fried and very hot. In this case, you had to mixed the beef shank with the sweet , savoury sauce with the green onions together yourself. It was good but I would have prefer the pancakes a little softer. 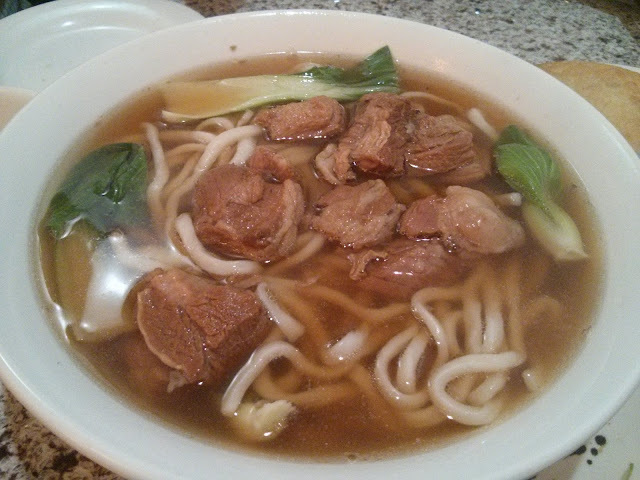 The beef noodle soup is quite different from all the various restaurants. The noodles were a little soft to my liking. The soup broth was light in flavour. I would still prefer the version at First Markham Place - Mei Beef Noodle restaurant. The pork and leek steam dumplings (15 of them) were okay in nature. The meat was soft and there wasn't too much juices from them. 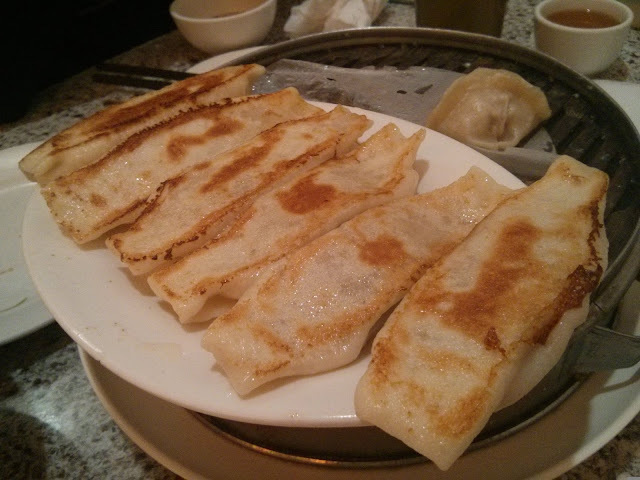 The fried dumplings were a total miss for me. Very greasy and still not crispy to the texture that I prefer in other restaurants. 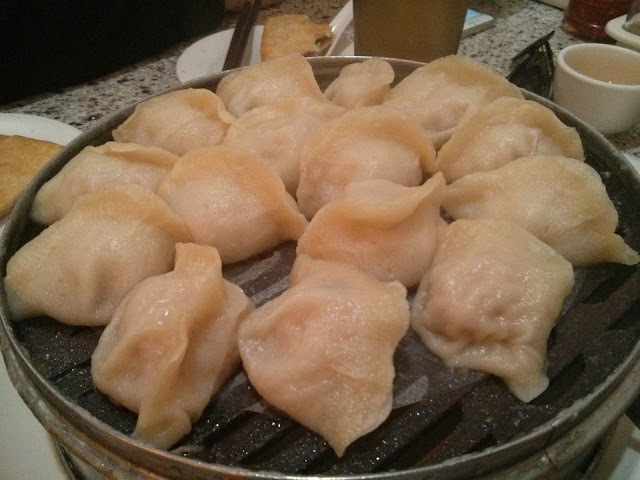 Also totally missing the soup, juice explosion within the dumplings. Would I come back - No because there are other better restaurants with better taste value.